You are here: Home What is a LIRA and how should you invest in it? 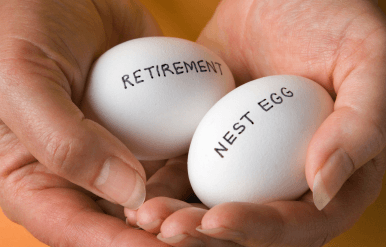 Got a Locked-In Retirement Account (LIRA)? On the cusp on getting a Locked-In Retirement Account thanks to your recent workplace changes? What the heck is a LIRA and why does investing have to be a bunch of alphabet soup? Thanks to more reader questions this winter, including a recent request for help, we’re going to provide an overview of this account and some considerations associated with investing inside this account. A Locked-In Retirement Account (LIRA) is similar but not the same as a Registered Retirement Savings Plan (RRSP). Sure, they are both designed for tax deferred investing (you can read up on RRSPs in my 101 post here) but a LIRA differs in how it originates. Most adult Canadians can open an RRSP any time. A LIRA is basically designed to hold pension money outside of a pension plan. LIRAs are typically established when you leave an organization and you want to take the pension money you’ve accumulated as part of that pension plan with you. If you have a LIRA or you were asked to establish a LIRA, chances are you were part of a company pension plan at some point. Recall there are two key types of pension plans – defined contribution and defined benefit. If you are fortunate to have a pension plan at work then I would encourage you to find out which one you can contribute to and all the rules associated with it! Unlike an RRSP, you cannot contribute/add new money to a LIRA – hence the name (Locked-In). Depending on the jurisdiction the pension was registered in, LIRAs can be managed federally or under provincially regulated pension laws. Like an RRSP though, a LIRA can hold you various investment products or securities such as GICs, cash, bonds, stocks, ETFs and more for long-term tax-deferred growth. You can’t make withdrawals from a LIRA, first it must be converted into a LIF. LIRAs can be converted to a LIF as soon as you reach age 55 and must be converted to a LIF by the end of the year you turn 71. Once a LIRA is converted to a LIF there is very little flexibility on annual withdrawals. This greatly reduces income flexibility in retirement (important for income tax planning and benefit claw back planning). Once converted to a LIF there is a minimum withdrawal and a maximum withdrawal based on your age and the size of the portfolio at the beginning of the year. These min and max withdrawals are slightly different depending on where the LIF is regulated, either provincially or federally. LIRAs can be unlocked in some circumstances. Certain provinces allow up to 50% of the LIRA to be unlocked after age 55 (in Alberta its age 50) and transferred into a RIF and up to 100% can be unlocked if facing financial hardship or a shortened life expectancy. This can increase the flexibility on the timing of withdrawals. When I left Toronto (and my employer at the time) to move to Ottawa in 2001, I was given an option to move the defined contribution pension money I accumulated with that employer to a LIRA (a few thousand bucks). I did so because I didn’t want to leave that money in that pension plan (who knows what might or might not happen to that privately-owned company?) and more importantly, I knew I knew I could take investing matters into my own hands using a self-directed LIRA account at my discount brokerage. You can read more about my LIRA and how I invest inside this account here. Mark, I subscribe to your site and I enjoy reading about your personal finance journey and DIY approaches to investing. However, I work for a company that recently announced it is closing in May 2019. I would like to know what to invest in, given some of this pension money will need to be placed into a LIRA. I’m forty- eight years old so I still have a long ways to go before retirement, so I want this money to grow. I believe the LIRA amount will be close to $200,000 so it’s a lot of money. I definitely appreciate any insights – I know you can’t offer direct advice. Thanks for your question and yes, you are correct, I can’t offer direct advice but I can offer a take on what I would consider. I also enlisted the help of Owen Winkelmolen is a fee-for-service financial planner (FPSC Level 1) and founder of PlanEasy.ca. Are willing to “stick to the plan” – not trade in and out of ETF(s). For your LIRA, you can consider one of Vanguard’s all-in-one funds. Owning one of these funds could provide you with one stop shopping (and longer-term growth) whereby you don’t need to worry about any asset allocation or asset location over time. The ETF, depending upon the risk tolerance you want to take, will do all the heavy lifting for you! You could also consider a mix of low-cost ETFs from Canada, U.S. and international funds on this page here – say one ETF for Canada, say one ETF for the U.S. market, and potentially one ETF for international equity. Put equal amounts into each to make up 60-70% of your LIRA. Put the rest of your LIRA (30-40%) into a Canadian bond ETF. Simple enough but would take a bit more management though to re-balance the LIRA. There are other strategies and considerations for sure. I’ll let Owen who provides advice discuss that in more detail. Owen? When it comes to retirement planning, it’s important to look at retirement assets across the entire investment portfolio and not just account by account. Mark wrote about asset allocation above, that’s important, but asset location is very important too – that describes the tax impact of holding specific retirement assets in specific accounts (GICs, bonds, Canadian equities, US equities, international equities). When considering asset location, it’s important to understand how investments will eventually be withdrawn from each account as well. Some accounts allow for a lot of flexibility on withdrawals (like RRSPs and TFSAs), while other accounts are very restrictive (like RRIFs and LIFs). Because of the restrictive nature of the LIRA/LIF we shared above, one strategy to consider is to keep LIRA accounts as small as possible. What I mean is, as long as the overall asset allocation stays on target across the portfolio, lower return investments like bonds and GICs can be held in the LIRA, while higher return investments (i.e., more equities) can be held in the RRSPs and TFSAs. Over time this allows the RRSPs and TFSAs to grow faster than the LIRA and helps to increase income flexibility in retirement (which could help avoid higher income tax rates and/or GIS (Guaranteed Income Supplement) & OAS (Old Age Security) claw backs). You can read about OAS claw backs and much more about OAS in Mark’s post here. While Mark’s suggestion to keep things very simple is OK, placing specific assets in specific accounts requires a level of flexibility that all-in-one funds just don’t allow. Having this flexibility would require at least a simple portfolio of ETFs and/or low-cost mutual funds. This does create some complexity because assets would need to be rebalanced as mentioned above across the entire portfolio at least annually. The benefit though is that the LIRA is much smaller in the future. By using a more specific asset location strategy the LIRA could be $163.7K smaller, and up to $378.7K smaller if 50% is unlocked and placed into an RRSP. As a result, the mandatory withdrawals will be smaller as well – providing potential tax flexibility in retirement – but the portfolio overall is the same size ($1.48 M). On the flip side, sometimes “simplicity is the ultimate sophistication”. If simplicity means that an investor (you in this case) will stick to the plan, then holding the same investment, or investment allocation, in each account might be the best option. All-in-one funds like the ones from Vanguard, iShares and other companies, provide a simple and inexpensive way to create a highly diversified portfolio that automatically rebalances. But, if you want to maximize your flexibility in retirement, minimize income tax, and minimize government claw backs, then it’s beneficial to look at your overall portfolio and retirement draw down plan when making investment decisions across different accounts. Great stuff Owen. I want to thank Owen for walking through some options for this investor and more importantly, outlining how asset allocation and asset location can deliver portfolio flexibility. Owen Winkelmolen is a fee-for-service financial planner (FPSC Level 1) and founder of PlanEasy.ca. He specializes in budgeting, cashflow, taxes & benefits, and retirement planning. He works with individuals and young families in their 30’s, 40’s and 50’s to create comprehensive financial plans from today to age 100. This couple wants to spend $50,000 per year in retirement. Did they save enough? Disclosure: My Own Advisor, and the financial expert above, has provided this information for illustrative purposes. This is not direct investing advice nor should it ever be taken as such. Assumptions above are for case study purposes only. If you have specific needs, please consider consulting a fee-only financial planner to discuss any major financial decisions. Thoughts on the case study? Comments on the options? Let us know in a comment. 44 Responses to "What is a LIRA and how should you invest in it?" 6. You need the money to be withdrawn from the portfolio to get you over the hump. Under this scenario you are forced to deplete your TFSA or non-reg share-rich portfolio at the oust time possible. The point worth a mention is that dividends from US shares are not taxed in RRSP/LIRA. Preferential placement of such stocks into LIRA gives the overall portfolio better return. Great counterpoint. I would consider the Vanguard or iShares all-in-one funds myself since I think they offer simplicity and growth over time as you are forced to deplete the LIRA with withdrawals at some point. I believe Owen was looking at the LIRA as part of a fixed-income approach so you could invest more aggressively elsewhere. From a personal perspective Mordko – I also keep a U.S. listed ETF in my LIRA for the exact reason you mention. Do you have this account? Curious. Thanks for being a fan. Yep. I do have a LIRA. And so does my wife. Hi Mordko, thanks for your comment. Using the LIRA in this way needs to be part of an overall portfolio strategy including RRSP and TFSA, the LIRA shouldn’t be treated in isolation. In the situation you described the client would rebalance between their entire portfolio, LIRA, RRSP and TFSA, to maintain their overall target asset allocation. Equities could be sold in their TFSA/RRSP to provide access to funds and at the same time bonds would be sold in the LIRA and then the same equities would be purchased. After selling and buying the overall asset allocation will remain the same, so essentially bonds were sold to fund the short-term income needs. Thanks for sharing Owen – you were looking at the sum of a LIRA, RRSP and TFSA, etc. as part of an overall portfolio asset allocation strategy. Thanks. I understand this – and my portfolio is structured to ensure target asset allocation and rebalancing across accounts. It’s just if you lost 50% in your accessible accounts during a downturn, a chunk of your safety cushion is gone. The one bright spot in a terrible situation like the one you described is that financial hardship rules can kick in and allow you to unlock some of those locked-in investments. Low-income years, paying first/last months rent, medical expenses etc all qualify for financial hardship unlocking. So if during a downturn someone finds themselves out of work and needing to access those locked-in investments, it is possible. Taking my commuted value and putting it in a LIRA could turn out to be the single largest financial blunder I made. I did get a professional opinion but I/we failed to consider one important factor and that skewed the whole analysis. It may work positive in the end, but unfortunately it would require me to die. But that is water under the bridge. Hindsight is always 20/20 Lloyd – we’ve all made mistakes and we don’t learn unless we make a few. You’ve done very well overall. What are your thoughts on this case study as a DIY investor? Thoughts on how to manage the LIRA? 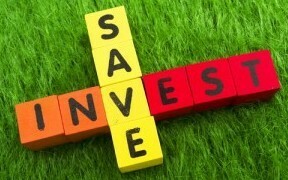 The managing of the assets should fit into an overall financial plan. I can’t really add much other than to re-iterate what you and Owen have already stated, a LIRA should not be considered an isolated asset. 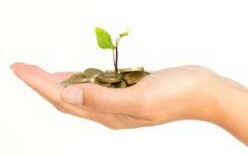 On a personal note, I have my LIRA invested in 100% equities but I have a substantial GIC holding in my and DW’s RRSP. And as you know, we both have modest DB pensions indexed to inflation. It stands to reason that my situation is undoubtedly different than others. If I had to give some advice that would be universal in nature, it is to get a professional, *unbiased* opinion on the more complicated issues and go from there. Whether or not to take a commuted value is a very tough decision, so many different factors to consider, many of which have nothing to do with “the math” but instead with a persons feelings/goals/risk tolerance etc. If you don’t mind sharing Lloyd, I would love to know what your important factor was. Might be valuable for others making the same decision. Background: The federal government “sold” the air traffic system to NavCanada in ’96. We had the options of leaving the pension with the feds, transferring to the NavCanada pension plan, or taking the commuted value. We failed to take into consideration that had I taken the pension assets with me into NavCanada, any salary increases over the remainder of my career would be applied to those transferred pension credits. On paper, all I had to achieve in a LIRA was around a 7% return to be roughly equal to leaving it with the feds. In my neophyte mind I figured a 7% rate was doable and the benefit of a 100% death payout in a LIRA versus a 50% survivor pension sold me on it. Not paying much, much closer attention to the benefits of transferring was my downfall. Huge mistake. We’ve all had some regrets somewhere on financial/investment decisions. The main thing is you seem to be in a very good place (understatement) retirement wise. Trust me. Ditto here. But I’m a forward looking guy and yes in whole the scheme of things….whatever. Thanks for sharing Lloyd, I’m sure there is someone reading this who is in a similar position. At 54, I would still like to invest in ETF’s, but which ones? $250,000 available, the rest 400k is in individual stocks. Could someone recommend? Kids are 25 and 23 – which ETF’s should they be looking at? I can’t offer direct advice but I think if you like ETFs, you can check out my ETFs page that identifies many low-cost, growers and income-oriented funds to start your research. I think for young adults, you can also consider some all-in-one funds for them. Nothing really to worry about except add money over time – just contribute and let the ETF in terms of rebalancing, asset allocation, etc. do the work for them. Check out my Deals page – I have promo codes to invest with BMO (no obligation of course) but it’s an option for you to consider. Good primer and good points by both of you in the case study. I was in a company DC pension plan for a number of years that I rolled into a LIRA when I left their employ about 15 years ago. It is a provincial plan not eligible for unlocking up to 50%. A year ago I converted this to LIF to begin minimum withdrawals in my late 50’s. I established this because I had been withdrawing many times this amount from my RRSP the previous 3 years and likely will continue to do so, and I knew this minimum amount was a sure thing I would want and need to keep. Now my RRSP withdrawal is a little less. I consider all of our investment assets as one portfolio in context of allocations. My LIF is approx 90% fixed income now (GICs & corp bonds), while my much larger RRSP is mostly equity. With my LIF I have been wthdrawing CDN equities in kind to my unregistered plus a little cash, and requested a basic amount of withholding tax even though minimum withdrawals doesn’t require it. This keeps me out of installment territory that I want to avoid. I think it’s very smart to consider all of your investment assets as one portfolio in context of allocations….it makes it more challenging for sure to ensure certain assets are in the right spot, in different amounts, but it can be more tax-efficient this way. I intend to do something similar: around age 55 (when I can in Ontario); withdraw money to spend and/or use to build up my TFSA every year thanks to TFSA contribution room. Time will tell! Thanks for your insights as always. Thanks. For a balanced investor this is the only way to fly. Trying to keep the same allocation account by account is possible but much more difficult and potentially very tax inefficient. In the withdrawal phase it certainly takes some thinking and a little crunching of numbers to keep the desired balance, along with staying tax efficient. Seems like a good idea for you to get moving on that account to draw down registered in early retirement and feed the TFSA. For some people this is a good strategy. As you know I’m doing this feeding as well. I love the idea of drawing down RRSPs/LIFs faster than necessary and using that extra money to maximize TFSA contribution room each year. This is especially useful if you can stay within the same tax bracket. It makes the money more accessible and minimizes the tax bill on your final estate. Absolutely Owen. I can say its a little challenging though to accept paying a little more tax than you “have” to, but in the long game it’s definitely right for us. I had a relatively high tax rate in all my working RRSP contribution years (age 22-47) and now am at a lower bracket. So that works well on net benefit of RRSP as I had hoped (so far), and then taking this lower taxed money and reinvesting 1. TFSAs 2. unregistered (when possible) makes sense to me, at least for another 5-10 years, when govt benefits may start and a little later RRIF mandated. Self directed my small lira like my RRSP years ago. More then tripled in value, in time. Switched over to lif, from which I take out about 4% per year. So far, has no decrease in value, and pays for electricity and more! Well done Paul. I think for some investors, a self-directed LIRA is the way to go as long as they understand how that LIRA fits into their plan and select products to go with that plan. I think self-directed investing has HUGE benefits Kathy. I can consider writing a post about that but I also have some content on this site as well. I moved my LIRA from National Bank to TDDI. TDDI did all the work and it took time (quite a bit actually) but it did work. I didn’t have any proprietary products though. I have no knowledge about Sunlife products and how that might have issues (fees). You got it Lloyd, you can usually move such accounts between institutions and those institutions are only more than happy to get your assets under management. Hi Mark, as Lloyd mentioned you can absolutely move your LIRA to another financial institution (and probably save yourself a couple thousand per year in mutual fund fees). Usually the institution you want to move the money to will help with the forms and manage the transfer. It’s ideal to transfer investments “in-kind” (meaning nothing gets sold/re-bought) to avoid being out of the market during the transfer. After the transfer is complete you can re-allocate your investments in the new account to less expensive options without any time out of the market. I’ll let Owen provide more details/examples from his experiences but I see no reason why you can’t move around LIRAs from one institution to another. Meaning, just like you can transfer a mutual fund RRSP account into a self-directed RRSP account to hold more than funds (stocks, bonds, GICs, etc.) you can do the same with a LIRA. I know for a fact a few investors who have a self-directed LIRA at TD Direct Investing, RBC Direct, BMO InvestorLine, etc. Talk to the institution you want to transfer to first, about your needs. They are usually MORE than happy to help, expedite transfer forms and if you ask them – waive any transfer fees. You don’t get what you don’t ask for (nicely of course)! I would love to self direct our funds, after a closure of a co. that my husb. was with for 27yrs , (this was 10 yrs ago) my sister, a fin. advisor took over our accts. in 10 yrs and from what ive read, it has been a good 10 yrs, we have not had the gain, as I see it now, that we should have. My sister passed away, and I have just learned of the fees, that have been charged as, we just rec’d our annual statements, with fee statement attached, I havent seen a fee statement in the last 10 yrs. Our funds are currently with an advisor, we know nothing about and I would like to learn how to self direct. LIRA s and RRSP s are what we have, approx 400k. Hi Kathy, there are some great resources out there to help transition to a DIY portfolio. Check out the Canada Couch Potato model portfolios. Often a DIY investor is their own worst enemy so my suggestion is to make a clear investment plan that includes how much you’ll contribute each month, what your target asset allocation is (and why) and also when you’ll rebalance your portfolio to get back to your target asset allocation (ideally at least 1/year and at the same time each year). Often DIY investors don’t follow their plan, or don’t have a plan at all, at this can lead them to lag the market returns by 0.3% to 1.5%+. My biggest problem with my LIRA is that it holds 4 mutual funds at Manulife that mostly do OK but over the past two years I’ve gotten away from mutual funds due to the fees and I now DIY and buy ETFs. I’ve considered opening a LIRA at Questrade, transferring the mutual funds over, and investing in what I want. Lower MER, DRIP, and growth. What stops me? Risk factor. Aside from a couple of GICs, this is my low risk investment. The financial planner I had at the time invested in a program that guarantees my initial investment will always be intact if something bad happens and the funds head south. It can never go lower than my initial investment – I’m sure someone here more knowledgeable will know the technical name for this type of program. I thought maybe I can unload the two lowest performers and send them to a new LIRA I create at Questrade and buy ETFs, and leave the two better performing mutual funds where they are. My current financial planner who took those over when my first planner retired, says its an all or nothing plan. I can’t break up the initial investment and have the ones I leave with Manulife still getting that guarantee. That guarantee no longer applies if I break up the set so to speak. Does anyone know if that sounds like it could be true? I’d hate to think he’s lying to me, but I know financial investors aren’t looking out for the best interests of low income single women because they don’t make much commission from us. Right now I’m annoyed because one of the lagging mutual funds I sold in October and purchased another one that looks like a better plan for growth, isn’t showing on my year end statement. I can buy/sell from a limited selection of funds within the plan I have. And the financial advisor hasn’t gotten back to me. Not even as much as he’s looking into this for me. For all I know Manulife screwed up and didn’t complete the transaction, but the advisor should have still been on top of it and noticed it didn’t go through. It’s been 10 years in this LIRA. Hi Cheryl, I’m sorry to hear that your advisor isn’t getting back to you, it’s hard to say what the best course of action is without knowing what your advisor currently has you invested in, your goals, your risk tolerance etc. My advice would be to seek out an advice-only financial planner, someone who isn’t compensated through selling investments/insurance etc. It might cost you a little bit up front but you’re going to get much better service and advice. Here is a list of advice-only planners in Canada (you’ll find me there too). Most advice-only planners do a free discovery session. I always do a free discovery session with clients to make sure we’re a good fit, if you like we could do a discovery session together and talk about the specifics of your situation and see what options you may have. Just complete the discovery questionnaire and I’ll send you a link to book a meeting. Only you know what is best for you Cheryl but I suspect you can do better! Have you considered a meeting with your advisor? Forcing the issue a bit and talking about switching to lower-cost products/ETFs and moving your LIRA? I think that seems warranted. I would imagine any financial institution (e.g., Questrade although not just them) would LOVE to have more assets under management and could help you out. I suspect you might be into segregated funds although I can’t be sure. Hi Mark… I love your simple to understand posts. What suggestions do you have for someone 63 yrs old with a small LIRA (less than$12k) from bankrupt Sears that is seeing it erode monthly from the fees charged by the trustee Sunlife? Thanks Tom. I strive to write clear, easy-to-read posts in plain language. Hummm, small LIRA eh? Depending on your investing goals of course I would consider a low-cost CDN ETF and use other products to invest abroad in your RRSP and TFSA for U.S. and international diversification. That would be my hunch. Welcome to reply to let Owen and I know more details. Not advice mind you just some things to think about! Hi Tom, sorry for the late reply, but if its a small LIRA you can unlock it via the “small balance unlocking” rule and roll it into your RRSP. This will make it easier to lower your fees and make management easier in the future because you have one less account.